Nursing assistant, or “nurse aide,” is the most junior nursing role. CNAs must complete a brief training course of eight to ten weeks, making it a perfect choice for those who want to enter the nursing profession quickly. Norfolk has at least five state-approved providers of CNA training, including Centura College and Tidewater Nursing Institute. 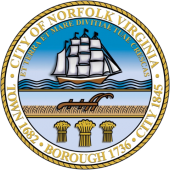 Norfolk is part of the broader Hampton Roads metro area, where CNAs typically earn about $23,000 per year. Top performers can earn $26,500 and above annually. Licensed practical nurses have a wider and more demanding scope of practice than nursing assistants. Due to the role’s complexity, LPNs must complete a 12- to 18-month certificate program and successfully pass the NCLEX-PN national licensure examination. Norfolk has several accredited LPN programs including Centura College, Fortis College, and Central School of Practical Nursing. Graduates earn a median annual salary of approximately $37,500. Norfolk’s aspiring registered nurses typically pursue one of two education pathways: associate’s degree in nursing (ADN) or bachelor of science in nursing (BSN). All RN candidates must pass the NCLEX-RN national exam to gain licensure after their studies. Norfolk students have several options along either the ADN or BSN pathway; for example, Norfolk State University offers both degree programs. Graduates can pursue employment with major local healthcare providers like Sentara Norfolk General Hospital, Bon Secours DePaul Medical Center, and the Naval Medical Center in nearby Portsmouth. Registered nurses in the Hampton Roads metro area earn $60,000 per year on average. Those with BSN degrees typically earn $70,000 or more annually. To help those seeking local nursing education, we’ve profiled below the top nursing schools in Norfolk, Virginia. This list includes programs for aspiring nursing assistants, licensed practical nurse, and registered nurses.